Summary: The narrator in this clever book is determined to have a pet. When her mother agrees only to a pet that wouldn’t need to be walked, bathed, or fed, a sloth is ordered by mail. 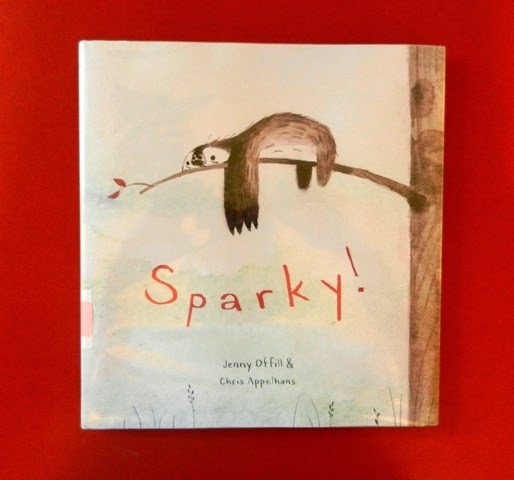 Sparky, the sloth, is not quite what the narrator hoped for especially once she sets up a “Trained Sloth Extravaganza” after a friend criticizes Sparky. Though the training is both hilarious and disappointing, the determination and unconditional love that the narrator has for Sparky is inspiring. Hanna’s Comments: Throughout this tale, “a promise is a promise” is proclaimed so you'll see Sparky is about a lot more than a girl and her unusual pet. It also touches on issues such as accepting differences, overcoming disappointment, suffering because of jealousy & comparison, and patience in addition to keeping promises.